Jane Cumberbatch's unique approach to interior and outdoor decoration is based on the timeless appeal of natural materials, uncluttered objects and a relaxed mood. 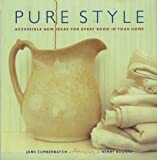 For the home, Jane offers a sourcebook of ideas for all the rooms in the house, from the kitchen to the bedroom. 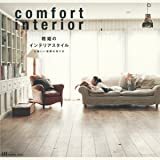 A visual catalogue of the constituents of pure style, this shows the colours, fabrics, textures, scents, items of furniture, functional and decorative objects and lighting that are appropriate for each room. For outdoors, Jane presents stylish and practical ideas for furnishing, and living in, your outdoor spaces. It offers inspired suggestions for all the elements that make up a garden - colour and lighting, texture, surfaces, boundaries, furniture and fabrics, containers and even the contents of the potting shed. Love this book. I heard about it through the writing of Tricia Foley, a favorite home decor author. I liked this book, not a lot of written content to learn from but the pictures speak volumes. 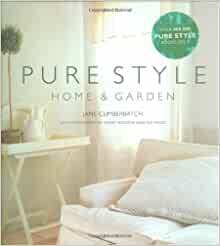 If you like a pure, clean and uncluttered look for your home this book will give you lots of ideas. 5つ星のうち3.0Nice book, but not what I expected. This was a nice book, but not what I expected. I would have liked to see more photos and more details.